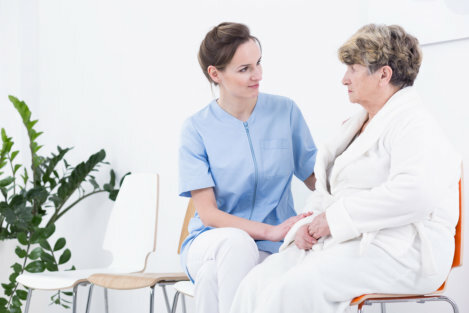 Incontinence is a challenging and fraught problem for both the patient and the caregiver. It is a lack of self-restraint or voluntary control over urination or defecation brought by disability or aging and is common among seniors, especially those who have chronic health problems. In addition, it significantly disturbs the quality of life of those affected. Though handling an elder person with incontinence problem is a tough task, you don’t have to do it alone. A Home Care in Pierre Part, LA can help you. The first step in treating incontinence is to understand what causes it. Different conditions can be a possible cause of incontinence such as urinary tract infections, weak bladder muscles, or pelvic organ prolapse. You can talk to a Home Health in Houma, LA that offers incontinence care services and assessment. A change in lifestyle can help alleviate incontinence problem. Spicy foods, caffeinated/carbonated beverages, and acid foods are bladder irritants. It is best to avoid them. Instead, you can increase fluid intake and include high-fiber foods in your diet. The treatment for incontinence depends on the bladder control problem and how serious it is. Bladder control training can help you control your urination. A Home Rehab in Denham Springs, LA provides rehabilitative techniques to help you gain full control of your bodily functions. If you have been asking where to get help for your loved ones who have an incontinence problem, Bayou Home Care is the solution. We offer services to help you manage incontinence. Visit our website for service requests, referrals, and inquiries. This entry was posted in Incontinence Problem and tagged caregiver, chronic health problems, patient. Bookmark the permalink.